Wow, what can I say. I really enjoyed it. 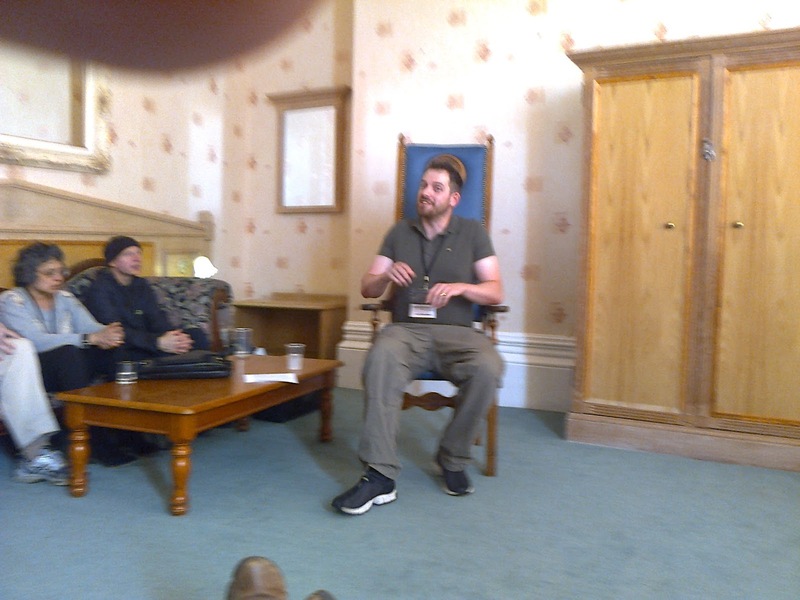 It was brilliant meeting Brent Weeks and Joe Abercrombie. My son is very much a Brent Week's fan whereas I like both authors. Mind you he hasn't read Joe's books yet! Both are very gritty writers. But, what nice people. We heard both giving readings in a very pleasant and personal environment. They both gave stunning performances, but Brent had a very brilliant twist to his. It was all about Spoilers so I can't say anything here in respect to the great man, but it was awesome and had his fans groaning in a mixture of disbelief and frustration. The event itself was also brilliant. Very few fans though and rather a lot of authors and publishers. There were book signings by lots of different publishing houses. Reading by authors, freebies etc. Great mixture of characters. I met some really nice and genuine folk. Chris of Pendragon Press, Terry from Exagerated press. The venue is also interesting, Brighton. However, it's a tad expensive. Brighton is always lively and probably would have been better if we'd know our way around better. The pubs, hotel and especially parking were all very expensive and probably explained the absence of fans. Overall though - an amazing experience. 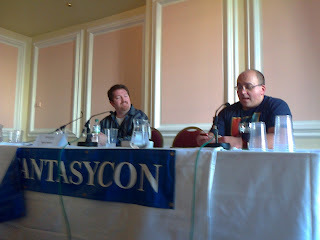 Off to FantasyCon this weekend. It's organised by the British Fantasy Society. Not sure what I'll make of it as I've not been before. 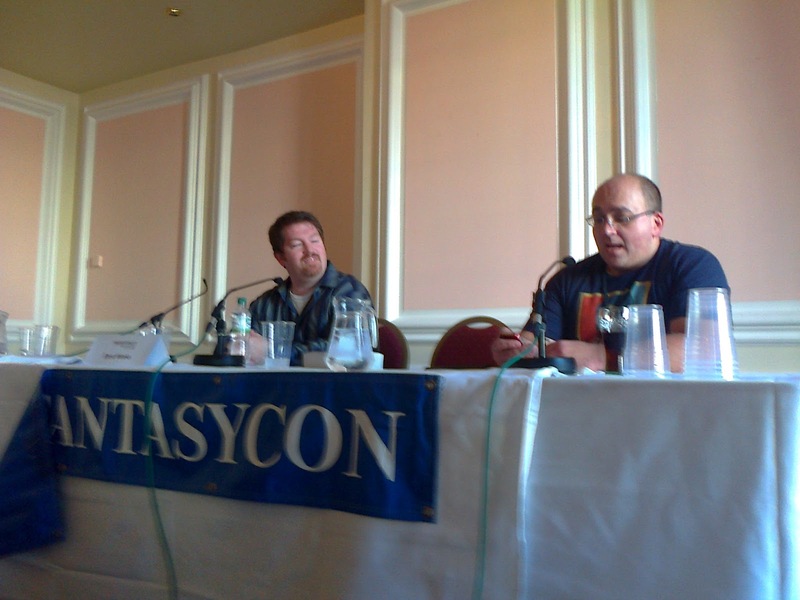 I have visions of Sheldon and Leonard (Big Bang Theory) going to something similar - fantasy convention. Does that make me a nerd? Anyway, I hope it will be fun. My son wants to meet Brent Weeks. He's just finished The Black Prism and is raving about it. I hope to read it soon. I have just read The Dwarves by Markus Heitz. Very slow book to start with but what an ending! Excellent read. Characterisation is brilliant with some characters extremely likeable and others less so. It's a hit in Europe and the chap deserves to do well everywhere. I thoroughly enjoyed it. Lots of twists and turns and unexpected parts to the plot. Good fun. I loved the book and have read it four or five times. I have a version with artwork in it and it's brilliant. Is the rumour still that Jackson will make 3 films? Perhaps that would make a good Poll. To have folk vote whether I should keep my clothes on or not. No doubt many folk will pay for me to remain clothed. I was amused by the recent Sherlock Holmes' film when Stephen Fry appeared naked, with the very old butler trying to serve him his afternoon tea. If nothing else it made for good comedy. Please feel free to vote by commenting below. 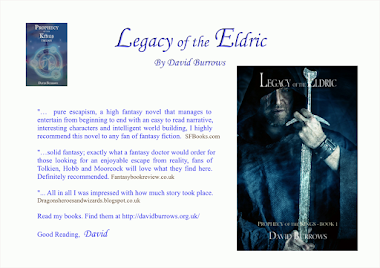 As a less well established author, reviews are terrifically important. My favourite ones are usually on fantasy blog sites as these have an established reputation. These are amongst my favourite to date. I hope they prompt you to give the books a try. All reviews are genuine and links lead to the full review. 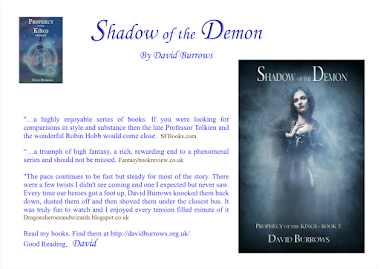 I'm halfway through Shadow of the Demon (book 3) and couldn't agree more: this is a fantastic trilogy, one of the most enjoyable reads I have had in a while, really! Now it's getting bitter sweet though: can't wait to read what happens next (and how it finishes) and I NEED to read on, but I also don't want it to end and so find myself slowing down, aaaargh!!!!!!!!!!!!!! That was such a heartfelt review. Amazing and thanks all. Keep the reviews coming please! 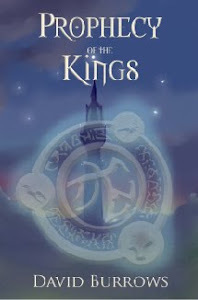 Kaplyn is my favourite character in the Prophecy of the Kings. He is the lead character and plays a pivotal role. However, he faces more than his fair share of adversity. At Vastra's behest, he gets trapped in a nightmare tower where he is trying to find an Eldric talisman. He is stubborn as shown when Vastra demands the talisman, but Kaplyn refuses to hand it over. Lars' support, although unspoken, is key at this point. Both men know that Vatsra is a sorcerer as he often brags about this. But having summoned the ancient city of Tanel, they know he is truly a power to be feared. I take Kaplyn's character to the very pit of despair. Things go from bad to worse and he takes the souls trapped in the demon world on his shoulders and again his stubbornness rises to the fore when he takes it upon himself to rescue them. He is also brave, walking alone into Drishnack where, as part of a ritual, he is forced to touch a powerful kara-stone, which awakens the link with his shaol, Shastlan, a guardian spirit. He doesn't realise it, but his shaol is the spirit of a dead emperor who betrayed his own people, summoning dragons to his world. Kaplyn is a strong character as he must continue his journey in the face of considerable adversity. Madness threatens when he lives Shastlan's life in his dreams. 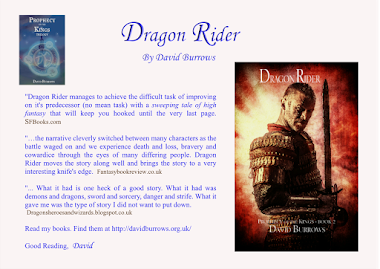 His fear of dragons has caused him to flee CarCamel and Shastlan's memories cause him to doubt his sanity. Of all the characters I have created I feel sorry for Kaplyn. No man, real or otherwise, should ever suffer as much as Kaplyn. That's the beauty of creating fantasy characters. You can play with their emotional state in a far deeper way than in reality. The enemy is clear cut - dark and brooding and must be killed. No one cares for the krell and grakyn that are killed. They are the enemy and they are evil.